Strike King Pro-Model Silent Series 5 Crankbait - Powder Blue Back Chartreuse. 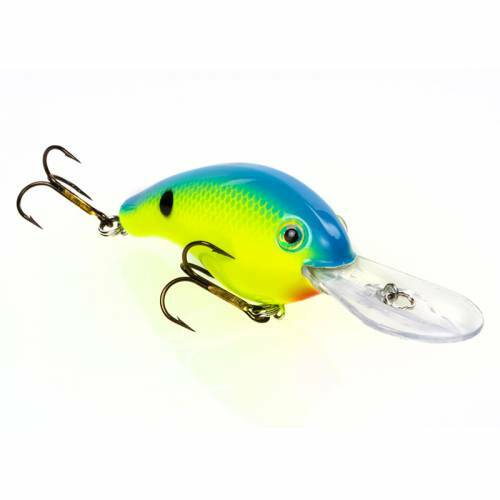 A silent (rattle-free) medium-bodied medium diver crankbait that features a curved bill for irresistible wobbling and bouncing action. Series 5 has a 2 degree diving plane for longer casts and deeper depths. Dives to 12 feet and bounces off submerged structures for great searching and bouncing movements. Assorted colors available.